It’s well known that North Carolina hosts world class spearfishing. The waters off our coast have an amazing abundance of species to hunt. The Labrador current to the North, and the Gulfstream running from the south bring in an amazing variety and abundance of marine life. North Carolina is famous for our giant hogfish and spiny lobster. We also have large species of grouper, cobia, pompano, snapper, flounder, sheepshead, and jacks. 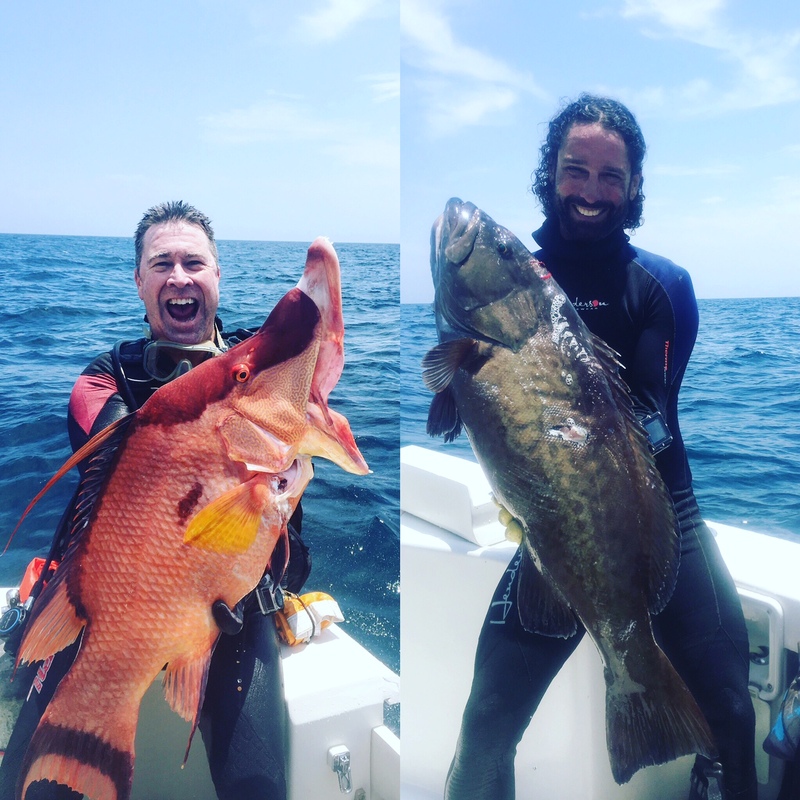 All of our spearfishing trips are custom, meaning we will target the species that you want to hunt. At WB diving, we never dive the same ledge twice in a trip. We separate the divers into groups and everyone dives on different “captain’s choice” sites throughout the day. We will put you on the fish!